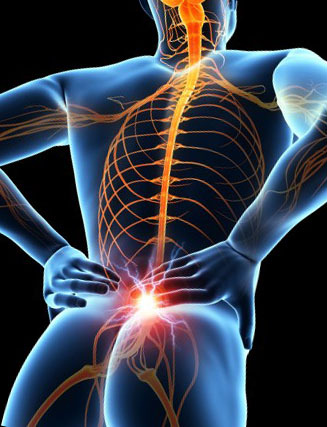 Nerve pain can be dehabilitating, and take away your living pleasure. It's something that hits close to home, because Dr. Gallagher's wife suffers from bilateral cervical stenosis and if left untreated, results in tingling and pain in her hands and arms. This was one of the inspirations that has driven Gallagher Chiropractic and Wellness to find solutions for nerve pain. Although our treatments and therapies may not be able to cure some of these conditions, reducing pain and improving your day to day comfort often results. In many cases, surgery can be postponed indefinitely. The treatments we offer at Gallagher Chiropractic and Wellness focus on the underlying cause. We use decompression to reduce the pressure on your nerves, and Low Level Light Therapy to reduce inflammation and to assist in healing. Regenerative Stem Cell Therapy has a significant impact with healing nerve damage, and interferance caused by degenerative tissue. Other therapies may be used to expidite the healing process. Gallagher Chiropractic and Wellness is here to help you. We welcome difficult and chronic cases. Come in to see us for the care you need today. Our friendly staff are happy to answer your questions. Call your chiropractor in Charlotte, Dr. Richard Gallagher, today for an appointment to discuss your treatment options. Call (704) 542-6500. The staff at Gallagher Chiropractic and Wellness Center are ready to help even the most difficult conditions. Contact Gallagher Chiropractic and Wellness Center specialists at (704) 542-6500 to schedule your initial consultation and create an individualized treatment program to help you feel better quickly.